The video and the below gallery were recorded and created with a station app and uploaded to our new video platform, WPB Video. WPB Video allows stations to create and monetize video like never before because of the low price point and ease of use! Monetizing YouTube is close to impossible and until now a video platform you could monetize was too expensive to be practical. Not any more with WPB Video! Also of note is the seperate station app. It has streaming and news and contests, of course, but also has a video, audio and pic upload system so your staff and audience can contribute content to the website, app and social streams. 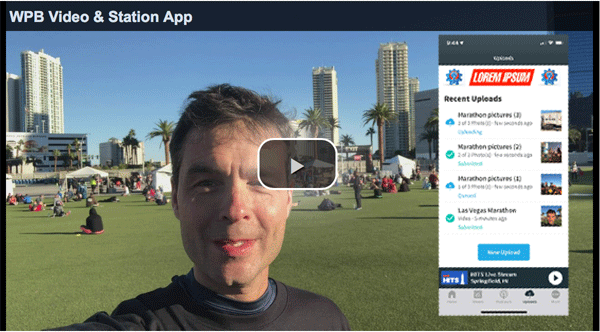 With WPB Video and the new optional app system you can cover and monetize your community like never before. Call 203-569-2009 and ask for Doug or Tom to learn more.